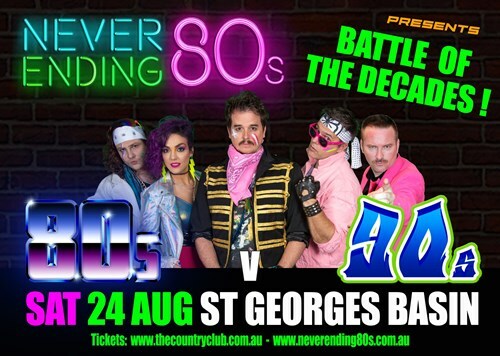 Never Ending 80s presents 80s V 90s - The Battle Of The Decades! Which side will you be on? Will it be 'I'm Just A Girl' or 'Girls Just Wanna Have Fun'? Our favourite 'Material Girl' or... 'The Spice Girls'? ’80's Prince or 90’s Jamiroquai' 'Backstreet or Bon Jovi’?